We are live and kicking on the world wide web thanks to the team at Web Ideas. From quoting, to planning and final development I greatly appreciated the advice and support at every step of the way. In particular, I appreciated the dedication Web Ideas put into ensuring that we were happy with all the elements being developed along the way. Web Ideas provided us with a holistic service that met our budget and our brief of what we needed and wanted at this stage of our online presence. Our vision is to develop our website further and I am confident that Web Ideas can help us grow our online branding in the future. 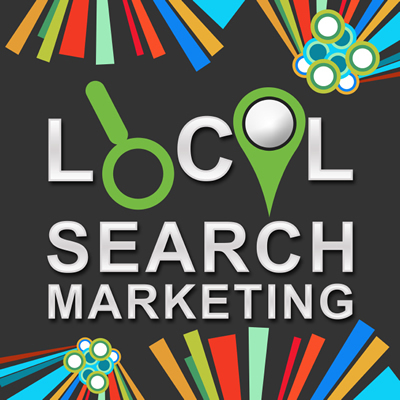 Online Local Area Marketing positions your business in a local area and helps you rank well for a geographic location. This is invaluable in getting the right customers to your website. This is used by Google in search results – if you are looking for a local business, such as a dentist, Google knows where you are located geographically and lists dentists that are near to you. It is no use listing dentists in New York, USA, if you are based in Melbourne, Australia. Sometimes Google gets this wrong. You can help ‘locate’ your business with a variety of strategies. These include correct and consistent information in a variety of Directory Listings, along with appropriate Social Media pages. These are massive websites that collect business data about every business they encounter online. They then sell advertising and premium listings to make money. It is quite likely your business details exist on a number of these sites already. It is also quite likely these details are incomplete or even incorrect. It is up to you to correct this information. The Directory site won’t correct it unless a request is put to them. Why bother? Because consistent information from a number of different websites tells Google that your business is genuine and worth promoting. This moves your business up in the search engine rankings. How do you do it? Every listing has instructions on how to request changes. These are sometimes hard to follow and always require followup to confirm the requested changes have been made. Examples of Directory Listings are Google My Business (the red flag on a Google Map in searches), True Local, Start Local, Yellow Pages, WOMO and a range of others. Some are industry specific. Our recommendation is to list on at least 10 directory sites. Examples of Social Media are Google My Business (Google crosses categories! ), You Tube, Linked In, Facebook, Twitter, Pinterest and Instagram, to name a few. Which ones suit your business model and your audience? Is it worth your time and effort to have a presence? Remember, with Social Media, to be effective you need to be consistent and regular. It is a way to engage with your audience, so you need to respond to comments made. Is Local Area Marketing right for you? We are very happy to help you with this. Call us on 03 8873 0000 or Request a Quote here.